Prominent & Leading Manufacturer from Vasai, we offer blister boxes and plastic blister pack. The company is engaged in the manufacture and the export of a wide range of stationery items to the customers which are inclusive of a high quality of Blister Box which have been made with a fine finishing and they offer a high performance to the customers. These products have a fine finishing and they have been priced at very reasonable rates in the market and offer a long lasting service to the customers. These products are high on demand in the market. 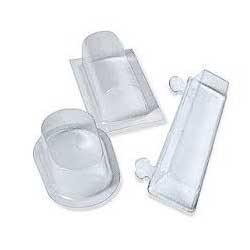 We have established ourselves as one of the leading manufacturers and suppliers of Plastic Blister Packaging Product. Our plastic blister packs are widely used in Pharmaceuticals, Food processing, Cosmetics, Lubricants plants and many others. Some key features of our Plastic Blister Packaging Products are Eco-friendly, moist proof, light weight and high flexibility. 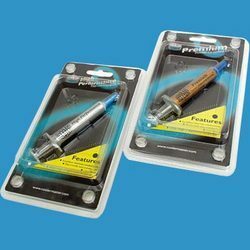 We make our plastic blister packs using high quality plastic materials, that are sourced from the noted vendors. Our manufacturing plant is equipped with sophisticated machines that helps us in bulk production of our plastic packaging products.